Product code: ES7780 Categories: Sold Items, Sold Jewellery. Here is an absolutely adorable vintage Japanese silver photo locket with miniature gambling dice that will become such a talking piece. Dating from the 1940’s, this lovely locket will not only hold a photo inside but has a compartment that has four miniature dice inside. This is such a unique feature and is just another reason why we adore antique and vintage jewellery. 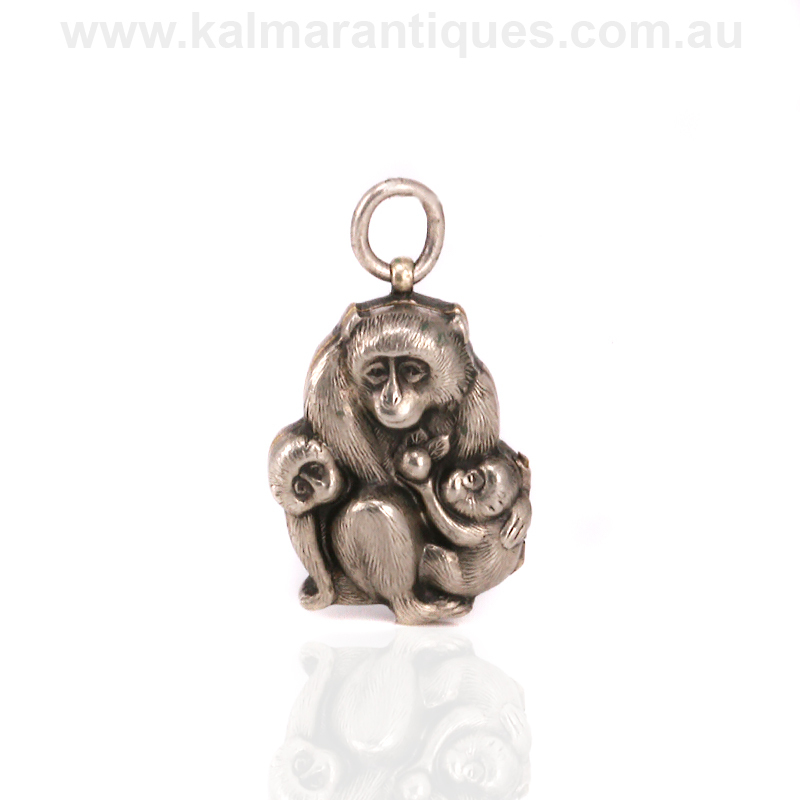 On the front are three monkeys that are so full of character and measures 15.1mm across by 19.5mm. So unique and special, this is one of the most wonderful lockets that you could ever find.